and I agree with many others and I'm certain I have forgotten even more. Blake Edwards, who sadly recently past away for great movies. In the words of one Mr. Steve Miller, "somebody give me a cheeseburger!!" He needs a 55 gallon drum of soda and a barrel full of French fries. I had a 'morphodite' Sportster (900cc/.030 over) that was built from all kinds of parts/years. Had the old magneto and kick start only. Glad I lived on a hill. Bradley and Hodges did just as much. Patton is overrated. I blame that Hollywood movie. America has a long etablished history of cultural diversity which a lot of other countries could learn from. American is one of, if not the most patriotic country in the world. No they're not distinctive to Amercia, but they're things that most Americans are passionate about. That was the point I was making. There is a lot more to America than half naked women. Keep them for the Beautiful women page. But George greased the treads of his tanks with the guts of those Hun bastards. Lieutenant: What's your name, soldier? I said Patton is overrated. He even spoke funny with a speech impediment. The real life Patton was not the George C Scott Patton of Hollywood. I don't think it's fair on the other US generals in NW Europe who did as much, if not more, than him in WW2. It was Bradley and Hodges who got the Americans out of Normandy. It was Bradley and Hodges who bore the brunt of the German Ardennes attack and halted it. It was Bradley and Hodges who crossed the Rhine at Remagen and cut hundreds of thousands of Germans off in the Ruhr Pocket. Etc. Few seem to remember Bradley and Hodges these days compared to Patton which (to me) is a shame and I'm not even American. I don't even know what Patton ever did that was soooooo amazing. He wasn't a Rommel or Manstein or Manteuffel. Racing quickly along roads largely devoid of the enemy was Patton's greatest forte. So in the spirit of this thread I'll say thank you to Bradley and Hodges and the other American commanders who get overlooked in favour of the overrated George Patton. I agree. England could do with being as patriotic. The only time England gets very patriotic is when the World Cup comes around. Most of the other time we are too busy self criticising ourselves and pointing fingers in the mirror. It annoys me. I agree about Bradley. 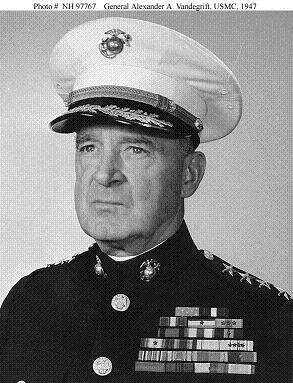 And let's not forget Alexander Vandegrift and his Marines who held Guadalcanal against overwhelming odds. I don't know too much of him, only the name. I'll have to do some Googling. Good shout though. The Pacific isn't my specific area of knowledge. Glad you agree about Bradley. Was never media friendly enough I guess. No, not THE Bass Player. Sorry man, Shania is ours. For some reason this song to comes to mind.